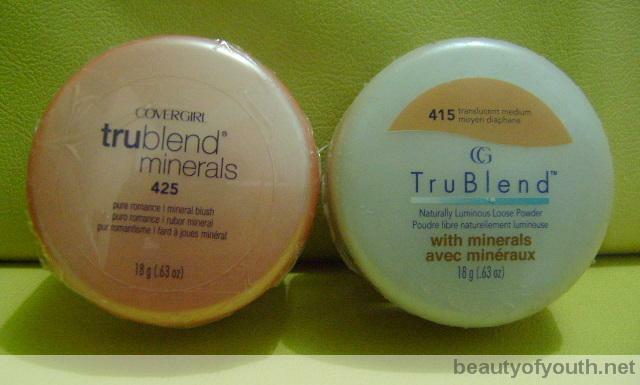 CoverGirl TruBlend Luminous Loose Powder tends to give a natural looking glow in an instant. It varies from fair, light, medium and honey translucents. The loose powder comes with a powder puff when purchased. While removing the sticker, the powder keeps on spreading all over the container that made me hate the packaging. Another is it has many glitters that I mistook it for a bronzer. The one that my cousin gave me was translucent medium which is right for my skin tone. It blends well to my skin but the glitters are too much. When I apply one layer into my face, it looks like I didn’t apply at all so it keeps me on applying more but the glitters keep on outshining the powder. The glitters are more visible than the powder itself. I use this loose powder only at night because of its content. 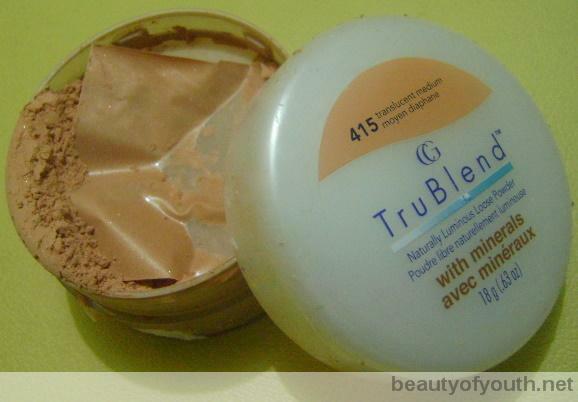 I don’t use it as a loose powder but as a bronzer or for contouring my cheek bones. I use a small brush rather than the powder puff included. Over all, I like how the loose powder blends with my skin except for the glittery feature. The product is not that bad at all but it is not that good either. 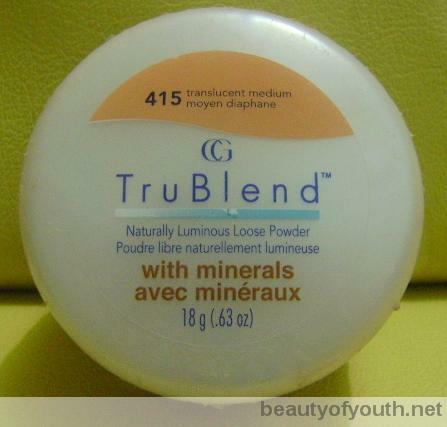 Cover Girl TruBlend Luminous Loose Powder was purchased by my cousin at Walmart ( I think ) worth $6-7 and gave it to me together with CoverGirl TruBlend Mineral Blush. It has a powder puff that is not useful. Nail Art Water Decals gives an utmost art in our nails. It can be a small(single) and full cover water decal. 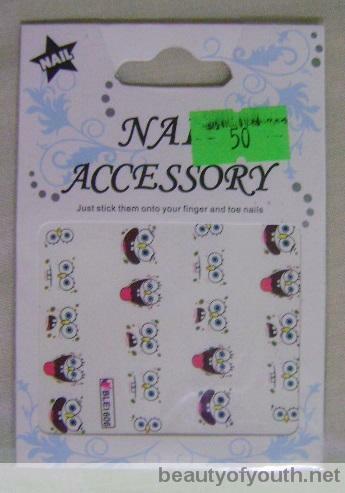 A clear nail polish is used as the top layer to adhere the nail decal onto the nail. It can be removed easily by the nail polish remover. I bought my next decal at Divisoria because it is more cheaper than the first full cover and small decal I bought in the mall worth 50Php each for one design. The full cover water decal was worth 100Php for four designs in Divisoria. Each set of design contains 10 nail decals. Cut the nail decal that fits your nail. Note: It’s alright to have an excess. Soak the nail decal into the water for a second to separate the sticker from the paper. Make sure that your nail is clean. Tweeze the nail decal and place it on your nail. 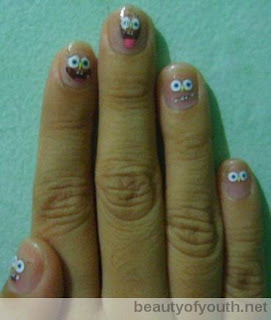 Damp the nail decal with tissue or cotton to remove the water and air. 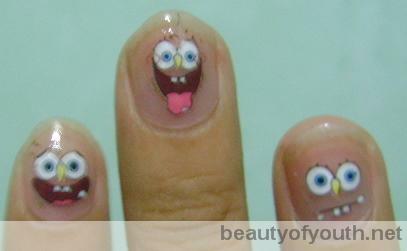 Apply a thin layer of clear nail polish at the top of the nail decal and let it dry. Remove the excess using a small stick or pencil or rub it with sand paper nail file. Apply another layer of clear nail polish. It is simple and easy to apply. It has many available designs to choose from. It lasts longer than nail polishes. It stays on the nails for a week or more. It doesn’t take you too long to finish a design on your nail. The design melts when the clear nail polish is not applied fastly. Wrinkles appear when the nail decal is not placed properly. Brite Smile To Go Whitening Pen is a convenient and portable pen that promises to whiten the natural teeth within two weeks prior of usage and results similar to whitening strips. A box of Brite Smile To Go contains three pens. One pen is worth 1500Php in the Philippines which can last 2-3 weeks. It is sold mostly by the dentists. It is structured with a brush tip that when you click the top of the pen, a gel will come out of the small hole in the center of the brush tip. After my braces was removed, my dentist gave me a whitening treatment and sold me this whitening pen as a maintenance. My dentist said that this whitening will help my yellowish teeth to whiten and maintain it because my teeth are prone to being yellow. Let's hope we will see some changes. I will post before and after pictures soon. Brite Smile To Go Whitening Pen is designed for use only by adults and persons over the age of 16. Foods and drinks can be consumed at least 30 minutes after the application of the whitening pen. 1. Remove the cap of Brite Smile To Go Whitening Pen. 2. Click the end of the pen until a small droplet is visible. 3. Apply a thin layer to the front surfaces of the teeth. 4. Return the cap after use. It is easy and simple to apply. It can be used twice a day. Strip It Hair Removal Sugaring is a cold wax sold by Sesou Nature Source and made in Philippines. It is all natural and hypoallergenic. It does not require any heating. I bought mine at Alabang Town Center worth 165Php for 100grams but 130Php at the Strip It site(I don’t know why :) ). The Strip It sugaring comes with 1 spatula, 2 long sheets of waxing paper and waxing instructions. In sugaring, the substrate sticks to the root of the hair rather to the skin making it less painful. I am very thankful when I’ve found out about this product because I am afraid of pain from hot wax offered by waxing salons. It is also way cheaper and cost little time than having my body waxed in a salon. Aside from that, it is very tiring and bad to shave that caused my skin to have ingrown hairs. According to their website, Stip It Hair Removal Sugaring gives a clear, smooth and light skin. It contains moisturizer that makes the skin soft and calamansi that lightens the skin. Note: Don’t wax three days before and after menstrual cycle because the skin is more sensitive and will cause more pain. Hair should atleast be ¼ inches long. Keep your skin dry and clean before using Strip It Hair Removal Sugaring. If oily, put powder lightly and then remove. the direction of hair growth. while leaving a space at the end of the strip for pulling. Rub for a few seconds. 3. Strip off the waxing paper at the opposite direction quickly. 4. After waxing, wipe the skin with damp cloth. It has a 1 year shelf life. It doesn’t make your skin itchy. Hair grows w/in 2-3 weeks. Ever Bilena Cheek Blush is contained in a small black compact that comes with a small soft brush hidden under the blush. A small mirror is seen at the back of the cheek blush. 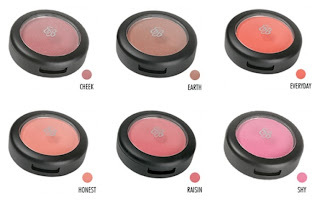 The colors of the blush varies from the names cheek , earth, shy, honest, everyday and raisin. It is mostly available in Watsons, PCX and department stores. The blush is worth 150Php. I bought the "earth" color to contour my cheek area and make it more prominent in a natural-looking way. Its shimmer makes me look great especially at night. It simply blends with the skin tone. It provides a small mirror and brush. The shade lasts long enough. Some of the shades have shimmers. The brush diminishes with constant use. As we grow, the production of our keratin slows down. Heat styling, hair dyes and other harsh chemicals applied tends to damage our hair. Our hair becomes brittle, dull and dry. After my hair underwent rebonding, the stylist told me to use Shine Moist Ionic Keratin Treatment because it's a deep conditioning treatment. I bought the sachet which cost me 100Php at David's Salon. After three days, I used it after shampooing my hair. It made my hair more softer and shiny. I consumed the sachet three times because I have a medium hair. Keratin is a protein formed from keratinocytes that makes up most areas in our body such as our hair, nails and skin. Our hair gets unhealthy when the external layer of keratin is damaged. To replenish the keratin and make the external layer of keratin healthy, keratin treatments should be applied. At the back of the sachet, it says that the Ionic Keratin Treatment injects dry, colored, permed and frizzy hair intensive moisture plus softness perfectly. This provides deep penetrating moisturizing for brilliantly gloss and shine effects. Also Ionic Keratin Treatment enhanced by using professional steamer to maximize the potential for increased softness. After shampooing, blot dry the hair with a towel. Apply Shine Moist Hair Treatment generously over all the hair and cover with a plastic cap for 15 to 30 mins with or without heat. It makes the hair shine or glossy. It leaves the hair smooth and softer. In one sachet, it can be used 2-3 times. It is good for rebonded and colored hair.